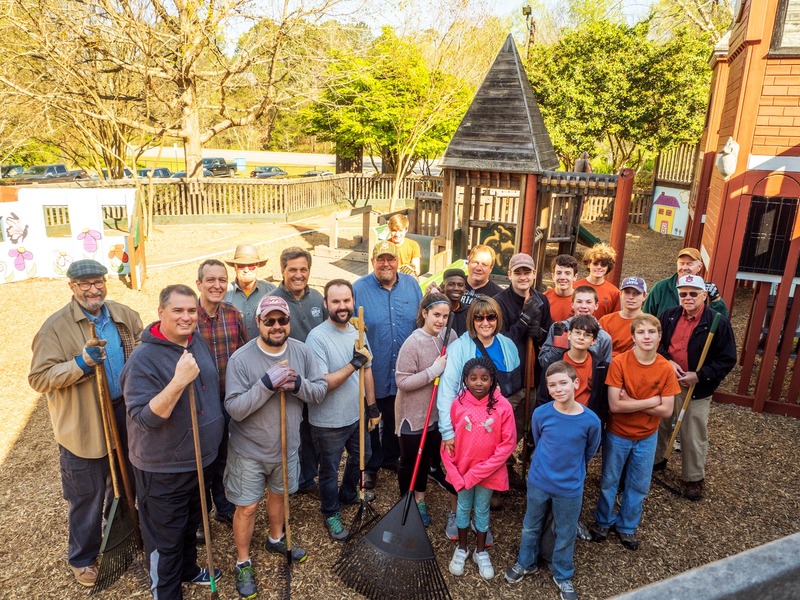 A pair of community service projects in February and March allowed Scouts, leaders and families of to continue the troop’s ongoing partnerships with the Food Bank of East Alabama and the Auburn Rotary Club. 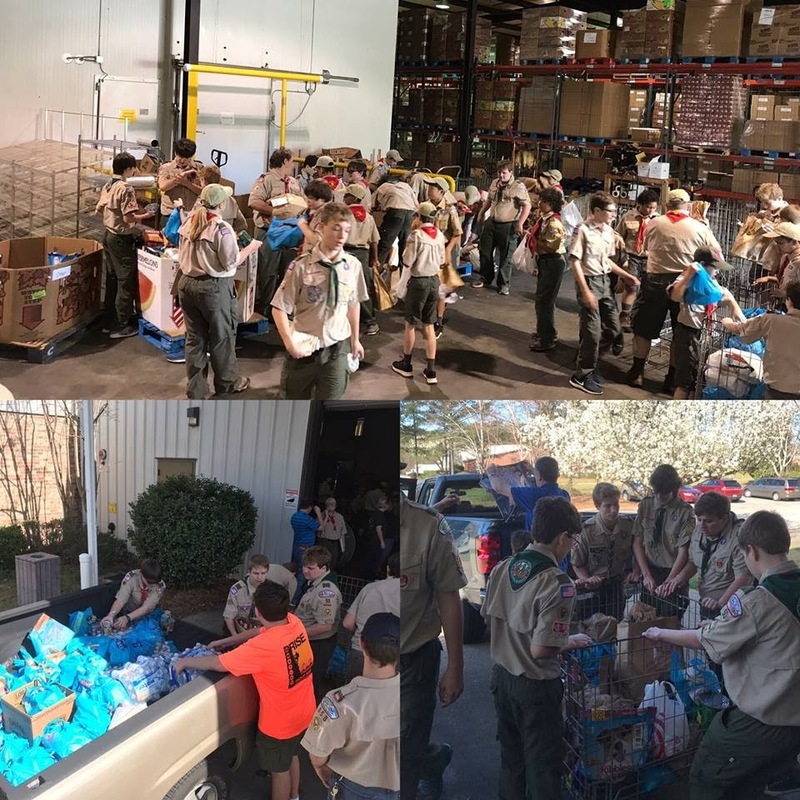 On Saturday, Feb. 24, the troop again provided onsite support at the Food Bank as part of Saugahatchee District’s annual Scouting for Food drive. This year's drive represents the fifth year that the troop has provided logistics support for the district-wide food drive. Troop 50 staffed the Food Bank by receiving, unloading, weighing and sorting the 5,400-plus pounds of food delivered by Cub Scout packs and Boy Scout troops that went door to door throughout the county collecting food left on doorsteps and by mailboxes. On Saturday, Mar. 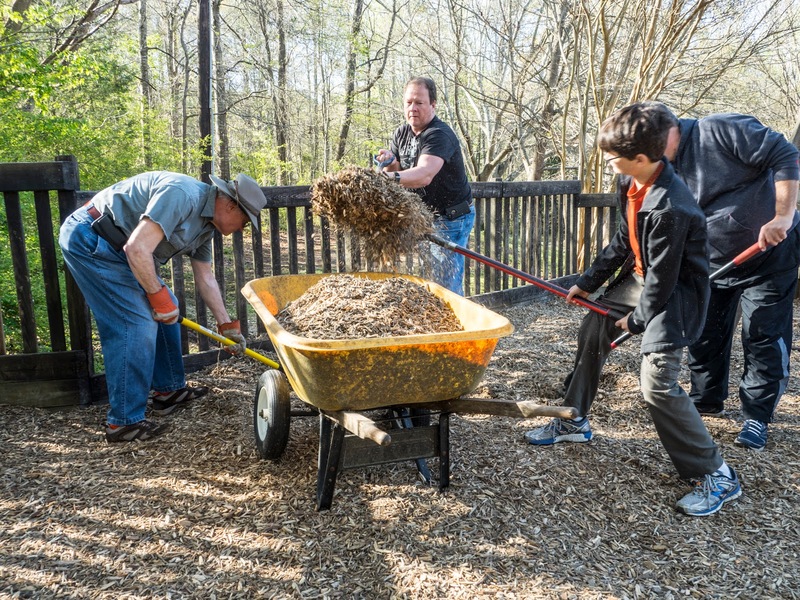 31, Troop 50 partnered with its charter organization, the Auburn Rotary Club, as part of the club’s annual workday at the city’s Hickory Dickory Park. Scouts and leaders joined Rotarians and their family members to help remulch the park’s play areas. These efforts are just two of the many year-round, troop-wide projects and individually led Eagle Scout leadership service projects through which Troop 50 Scouts fulfill its mission of going into the community in service and fellowship. In 2017, service as part of these efforts accounted for more than 1,345 collective hours of community service provided by Scouts and leaders. Visit the troop’s online photo album for additional photos from our service efforts at the Food Bank of East Alabama and Hickory DickoryPark.